Anyone who takes a walk down towards Loch Skipport will no doubt come across the Shetland ponies that are turned out on the heather moor land to graze. Why? Because if you do not find them, they will find you - so accustomed are they to passing walkers giving them apples and other treats. 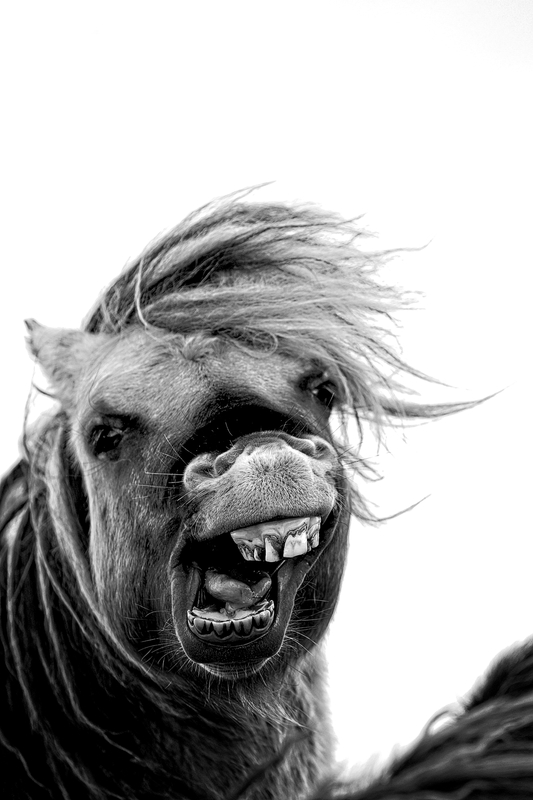 So before I could get the portrait images I wanted - using a 200m lens, I had to be patient with these comical creatures until their inquissitiveness wore off and they realised that I was not going to be giving them treats. 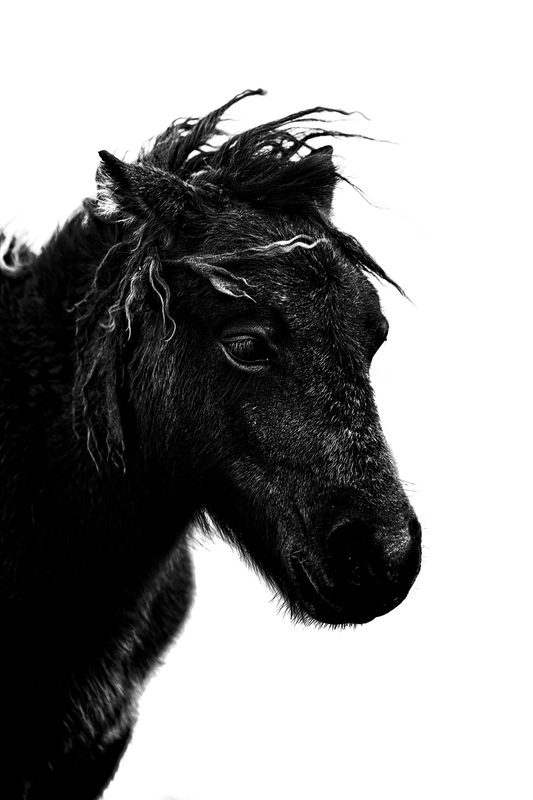 With this accomplished it was a pleasant half hour waiting for them to do what Shetland ponies do. Eat, interact with each other and pull that forlorn look that they have. 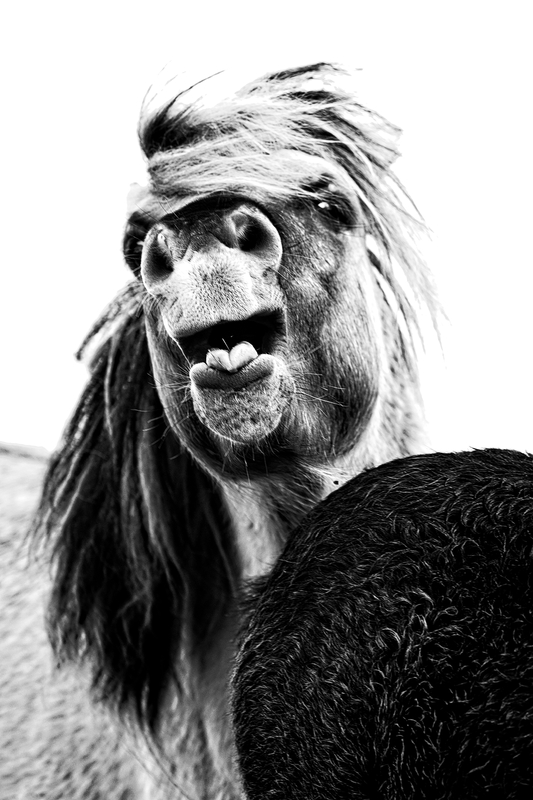 All the time the wind was gusting across the open land making their mane look more unkempt than normal. 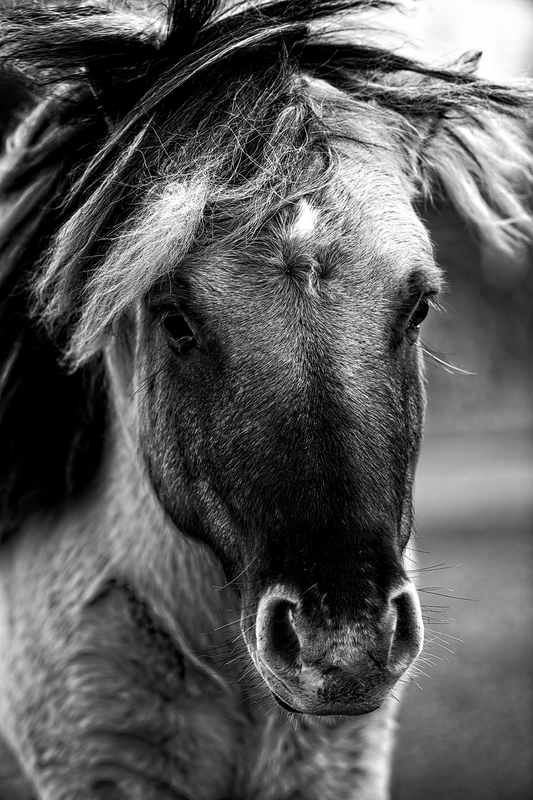 The ponies are not wild animals and all of them roaming free are owned by someone. However they are largely left to their own devices and they clearly know that their rotund, unkept state is a hit with passing visitors. 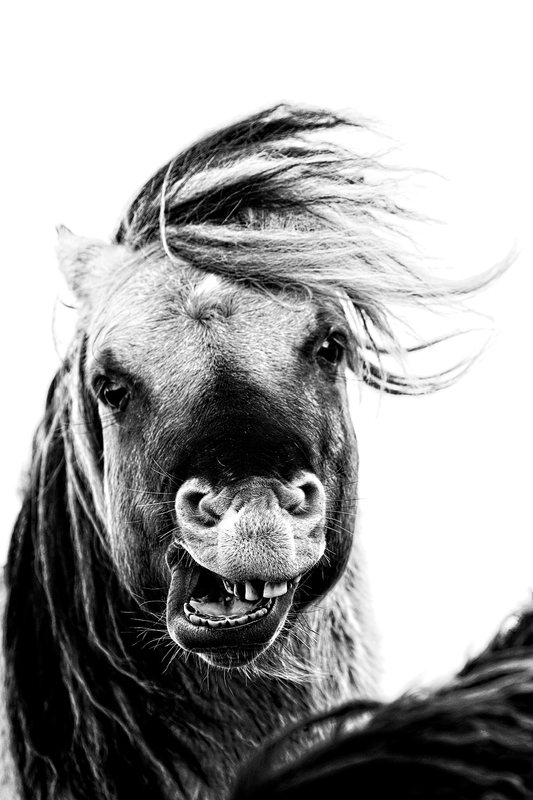 The SHetland Ponies on South Uist have often been confused with, and labelled as, Eriksay ponies. 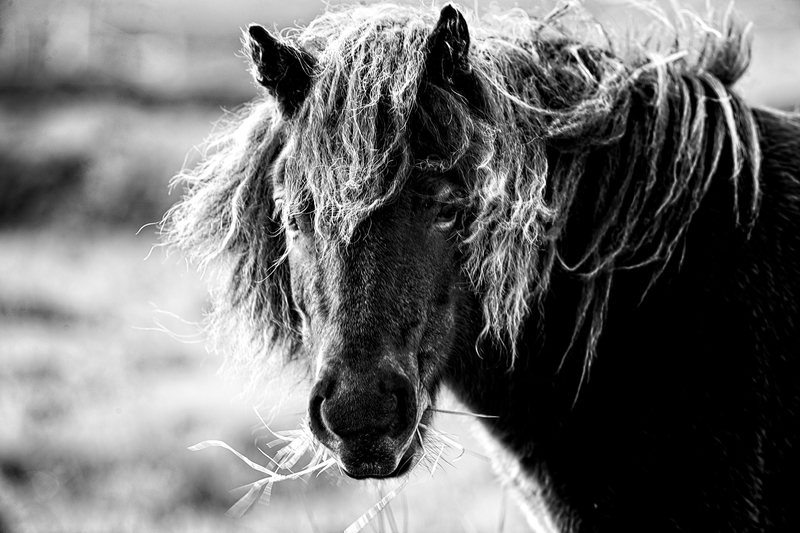 The Eriksay is the native pony of the Western Isles but is larger than the Shetland pony and unfortunately classed as critical by the Rare Breeds Survival Trust. 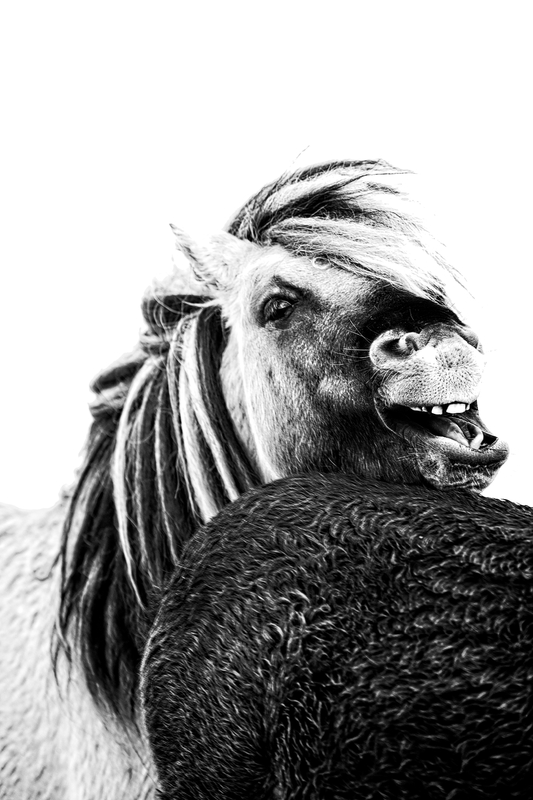 Both the Eriksay and Shetland pony were used as pack animals being very strong and sturdy. 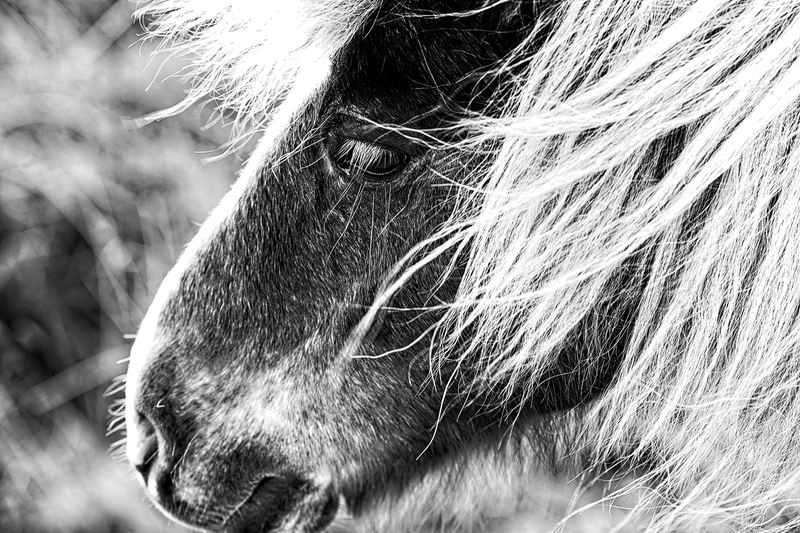 Both are well adapted to the harsh climate in the Outer Hebrides where they are able to survive on limited food, kept warm by thick coats. All images taken with a Canon 1DX and EF200-400mm F4.0 zoom lens.